If you’ve ever wanted to indulge in a life of luxury, with the weirdly specific desire to shower like a billionaire, you’re in luck. Silicon Valley shower startup Nebia is releasing a cheaper, updated version of its Nebia Spa Shower, which uses atomized water droplets to conserve water. The company’s partnered up with Moen, and their Kickstarter for the Nebia Spa Shower 2.0 launches today. Since it was founded in 2014, Nebia’s gotten some pretty big names attached to it — its product design engineers previously worked at NASA, Tesla, and Apple, and the company is backed by the likes of Tim Cook, Eric Schmidt, and Y Combinator. Nebia says its halo showerhead and wand can spray you with “millions of tiny droplets with 10 times more surface area than your regular shower,“ and saves 65 percent more water in the process. So far, the first Nebia shower has saved 100 million gallons of water, and is on track to saving one billion gallons in the next two years. The Nebia 2.0 will come in two matte colors, silver and black. 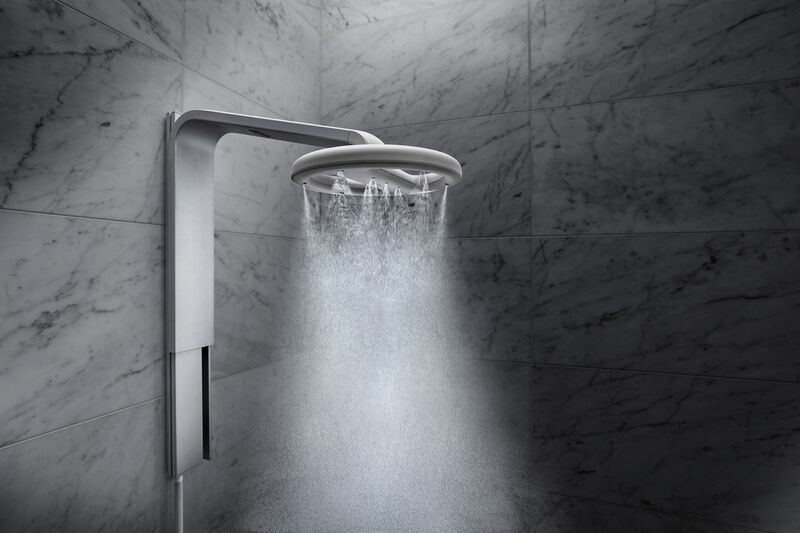 The shower will retail for $499 when it goes on sale, down from its previous $650. If you want to grab an early-bird price, though, you can check out the Kickstarter here.